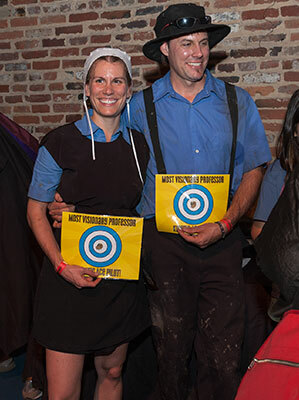 There comes a time in an Amish youngster’s life when they venture forth into the world to experience the broader culture, before their parents anticipate their return to commit to a lifetime of Amish living. 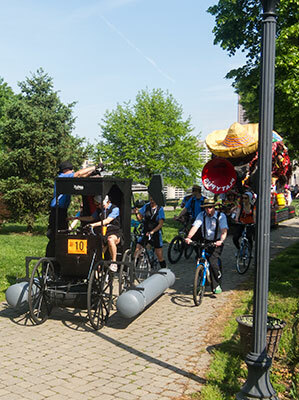 That time of venturing forth is Rumspringa, which this entry celebrates in Baltimore. 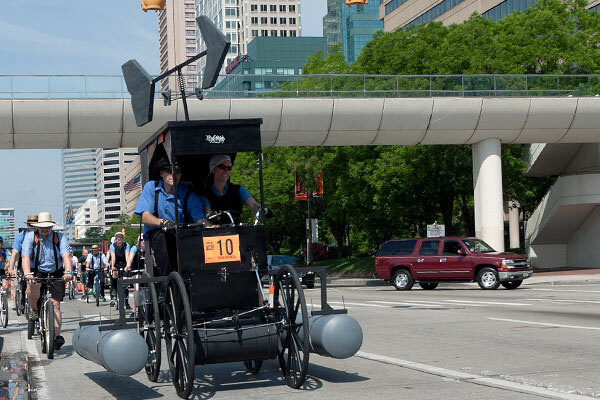 Rumspringa is an updated version of 2011’s Am-ish sin Caballo. One of the requirements Rumspringa followed at the higher level of ACE competition is that feet can never be used on the ground to push the sculpture forward. 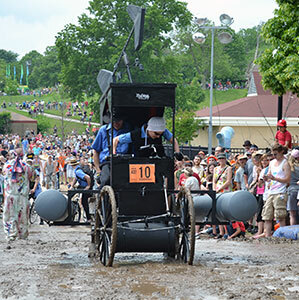 When they reached the mud, Rumspringa switched out drivers, and one of the pilots sat on the front between the wheels and cranked them—and the sculpture—forward by hand. The left photo shows the ACE awards bestowed upon the pilots. 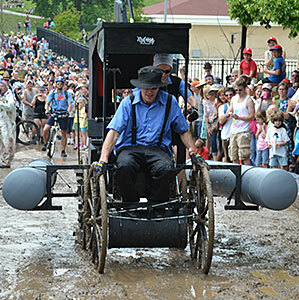 Rather than friction caliper, fixed sprocket, or drum brakes, Rumspringa sports an authentic stagecoach-style friction hand brake that locks down on the tread. 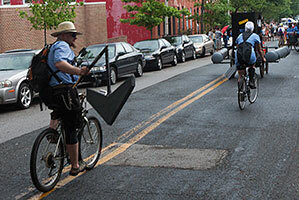 For more about brakes see Elliott Naess’ How To Build a Kinetic Sculpture on this site. After colliding with a tree branch, the directional arrow broke off the roof.